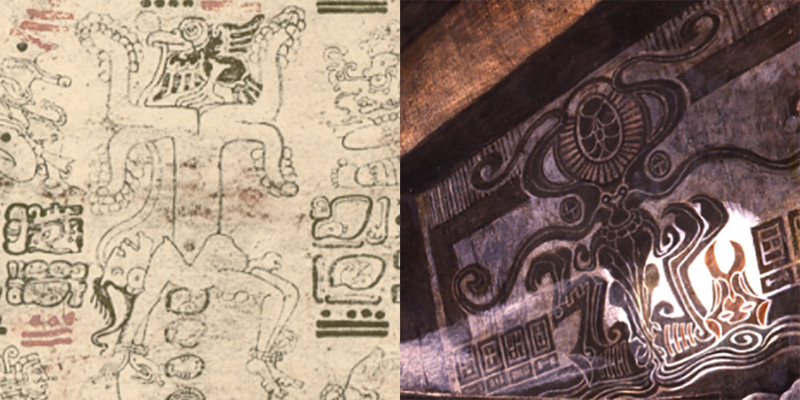 Alien Explorations: Alien: The Dresden Codex's influence on Ron Cobb birth temple painting? on Ron Cobb birth temple painting? 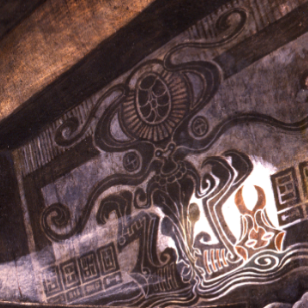 On the upper part of the wall is a scene showing the birthing ritual with the victim in a pool of blood. 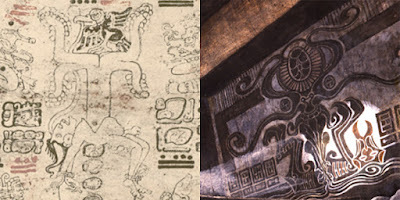 One might want to compare it with the sacrificial victim seen in the Dresden Mayan Codex which features a tree of life seeming to come out of a split open body as if it were a giant tentacled creature/ As in the codex. 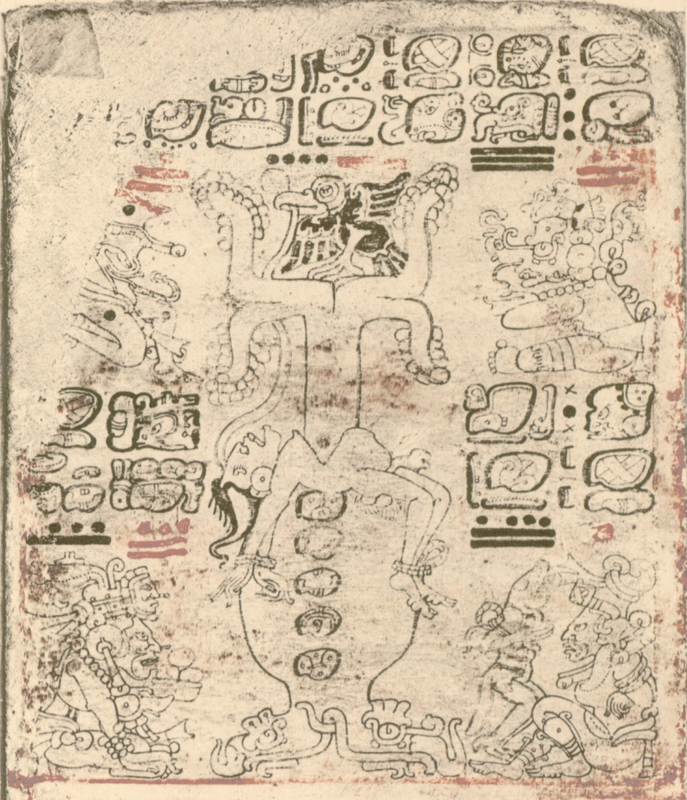 the hieroglyphs in Cobb's illustration are floating blocks. 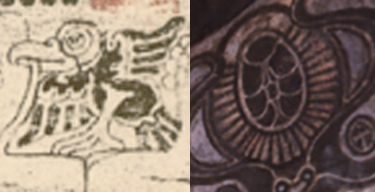 The egg shape at the top seems to have evolved from bird at the top with the long feathers of the wing turning into the radiating lines from the egg, and the curved frills of the upper wing transforming into the scales of the egg shape.